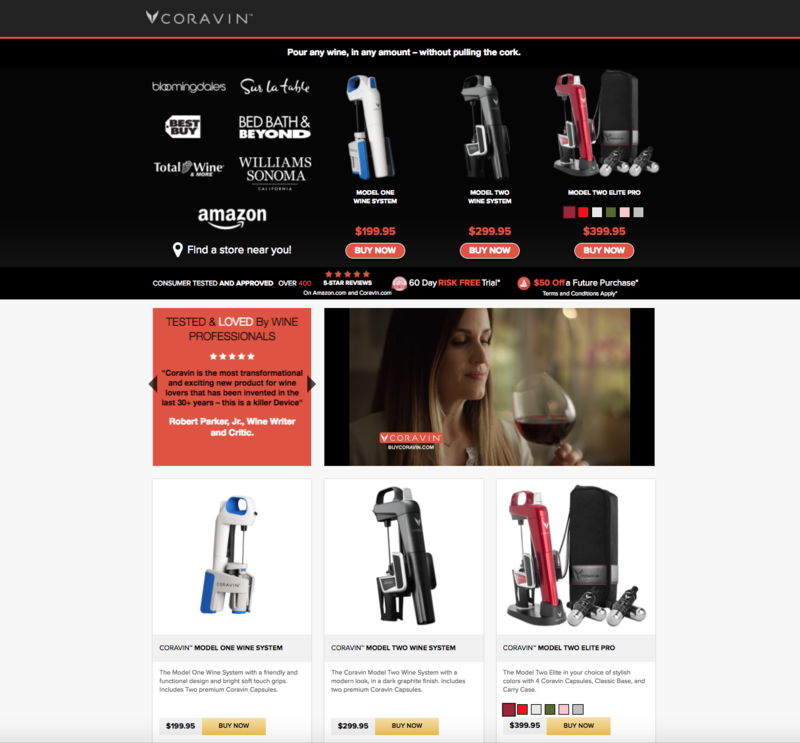 I worked on this page with the Coravin Marketing/IT teams and Urbana Creative Group. I contributed to the visual layout, design, and photography. 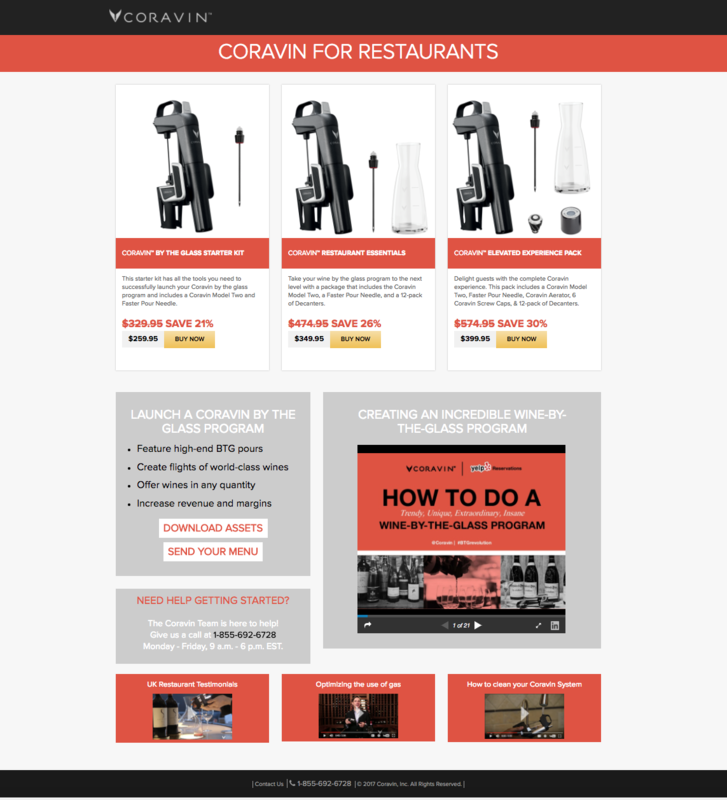 I worked on this page with the Coravin Marketing/IT teams. I contributed to the visual layout and design. 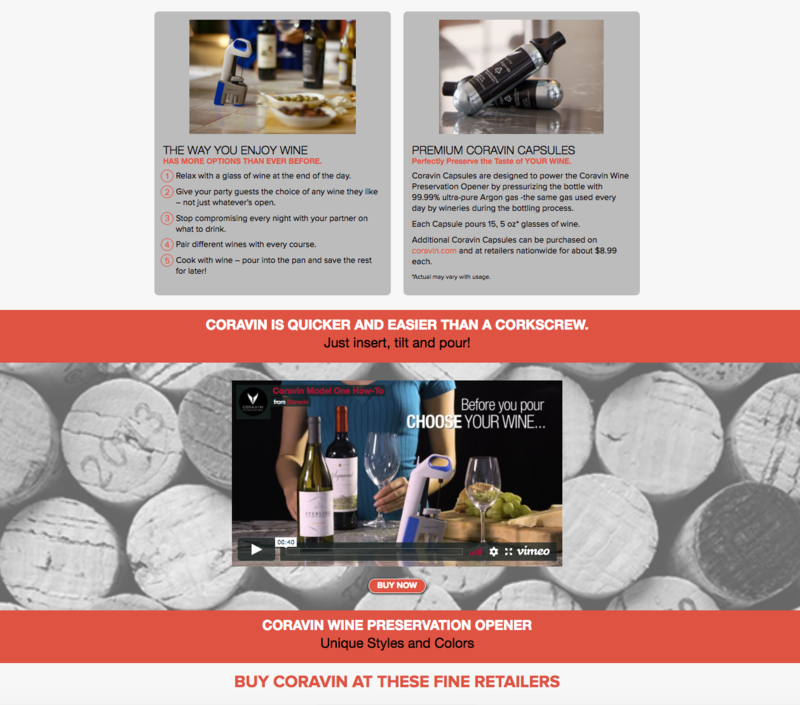 * Please note that information in this wireframe such as product pricing and details may be inaccurate. 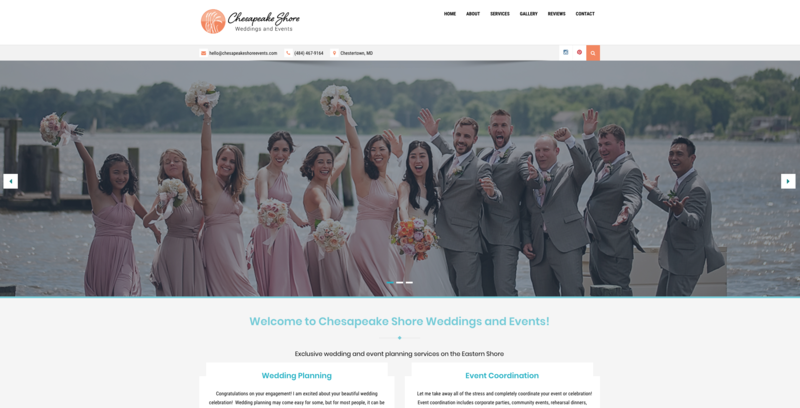 I developed the logo, branding and website layout and design. To view the full site please click on the link below.